So you’re interested in investing in real estate rental properties. Congratulations! But the learning curve to evaluating and purchasing your first house is STEEP. How do I find my first property? How do I figure out if it’ll make money? How do I even know what a good deal look like? The one percent rule is here to help. The typical advice is you need to analyze 100 deals to find 1 good one. And you need to offer on 10 properties to actually buy 1. So who has time to break out the spreadsheets and analyze 1000 potential properties to find their first deal? (And the 2% rule, the 50% rule, the 70% rule… Real estate investors really seem to like their percentage rules). Instead of sharpening your pencil for every real estate deal that comes along, if you know a few simple rules of thumb, you can figure out in about 5 seconds whether it’s worth further analysis. 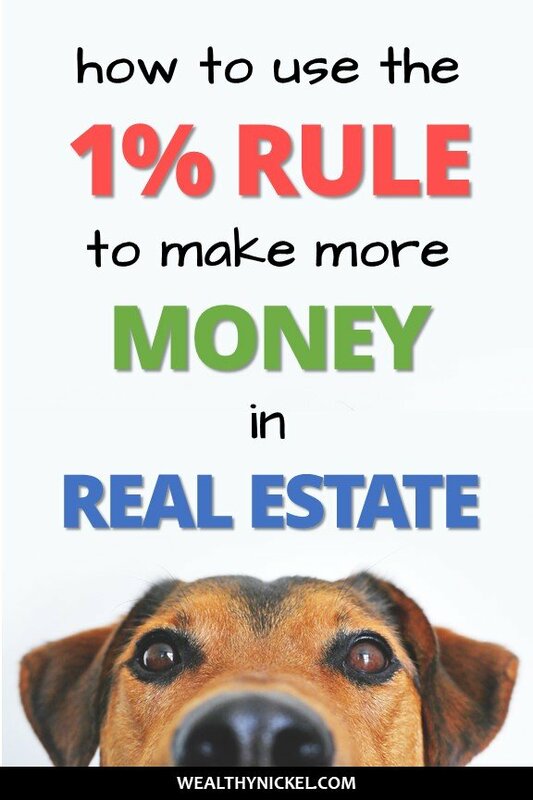 When I’m looking at a potential rental property, the very first criteria I apply is the 1% rule. 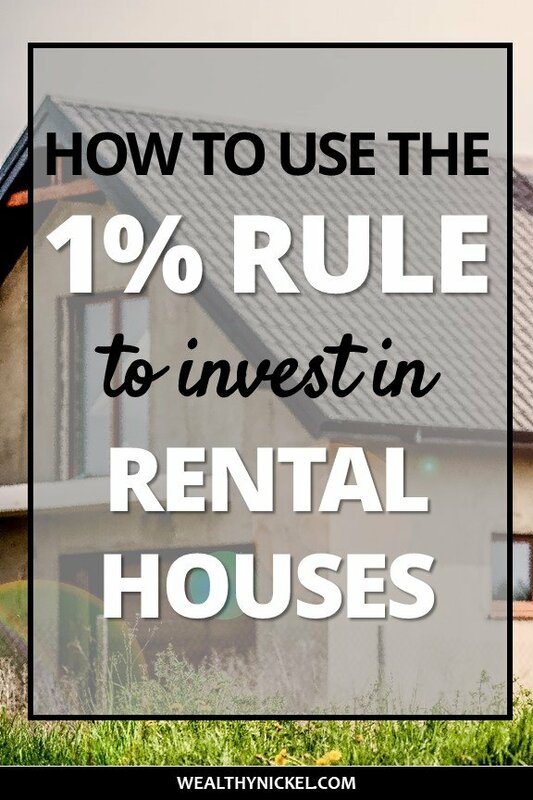 The 1% rule states the following: In order to generate positive cash flow, the monthly rent of a property should be at least 1% of the all-in purchase price. Example 1: You find a house that’s all fixed up and ready to go for $150,000 that will rent for $1,500 per month. Since the rent divided by the purchase price is 1% (1,500 / 150,000), this meets the 1% rule and would warrant further due diligence. Example 2: If you find a house for $130,000 but it needs $20,000 in repairs to make it rent ready, it would need to rent for $1,500 per month to meet the 1% rule (1,500 / [130,000 + 20,000]). You need to take into account the all-in purchase price including any repairs and maintenance needed to get it into rent-ready condition. Corollary: What is the Gross Rent Multiplier? The gross rent multiplier is the purchase price of the property divided by the annual rental revenue. For our $150,000 house that rents for $1,500 per month, the GRM would be $150,000 / ($1,500 * 12) = 8.33. The 1% rule could be restated as the “8.33 GRM rule” and mean exactly the same thing. It’s just not nearly as catchy. Remember, this is just a rule of thumb. You could make money with a property that falls in the range of the 0.8% rule (monthly rent is only 0.8% of the purchase price), and you could lose money on a property that exceeds the 1% rule. There are a lot of factors at play, but the 1% rule is the basis of where I start every evaluation. So why does the 1% rule of thumb work? The 50% rule states that on average, the expenses for a rental property will be about 50% of the rent. So if the rental income is $1,500 per month, $750 of that will go toward paying expenses (not including loan payments). 5% Maintenance and Repairs – all the maintenance items you need to do to keep the property in good shape, such as fixing leaky toilets, repairing the fence, etc. Add up all those costs, and you get to 50%. While this is just a ballpark number meant as a back-of-the-envelope calculation, over the long term I have found it to be true for my own portfolio of rental properties. Some years we’ll have almost no repairs or vacancies and it will seem like we are amazing investors raking in the cash flow. But it only takes one major issue (replacing a roof, or having a plumbing problem, or an extended vacancy) to wipe out months of cash flow. If you look at our year end review of our rental properties, you’ll notice we had one month where we had a HUGE negative – two major repairs at two different properties. If we hadn’t been setting aside reserves for when the inevitable happens, we could have been in major trouble. So if I have a 1% rule rental property that rents for $1,500 a month and my expenses are 50% of the rent, then I get to put $750 in my pocket every month, right? Remember when I said the 1% rule was approximately a breakeven number? That assumes you’re taking out a mortgage on the house. Unless you have $150,000 lying around to buy our example property in cash, you’ll need to get financing. One of the best advantages of real estate is the ability to leverage your money by taking out a mortgage. On most single family rental properties, you will need a 20-30% down payment. So for our $150,000 rental property, if I break out my trusty mortgage calculator, with a 20% down payment and 5% interest, that is a $644 payment each month. That leaves us with $1,500 – $750 – $644 = $106 of cash flow per month. Which is a little better than break even. Hence the 1% rule. What percent should I make on a rental property? How much cash flow SHOULD I be making? And that is entirely up to you, the investor. Once you know how to run the numbers – evaluate repairs, expenses, property taxes, rental rates, etc. you have the power to put together a deal that works for you. I can tell you what my criteria has been buying in my market (Dallas, TX). But your market will be different, and your investing criteria will also likely be different. For example, if you live in San Francisco, you’re not going to find a 1% deal anywhere. If you want to invest there, you need to have a lot of cash and be willing to make a low cash-on-cash return and bet on appreciation. 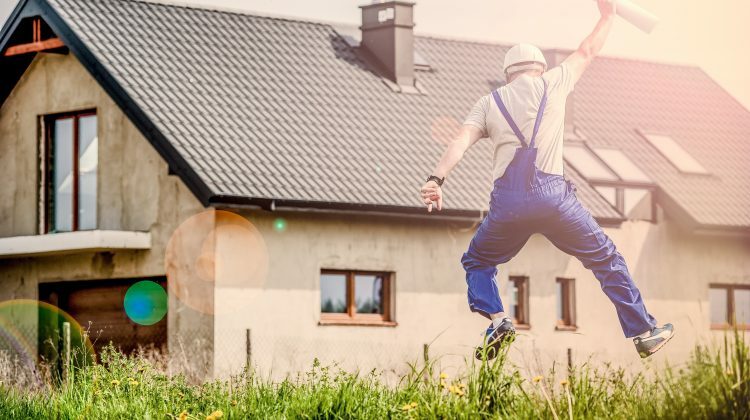 You may be making zero (or negative) cash flow every month, but if your $1 million property appreciates at 3% a year, you could be looking at a big payday when you sell. That’s not my investing style – to me betting on appreciation is too much like gambling. I like stable cash returns, and any appreciation is icing on the cake. On the flip side, if you live in the Midwest, meeting the 1% rule is easy, and you should probably be aiming for more. An aside, what is the 2% rule? You may have heard investors talk about the 2% rule. The 2% rule is just like the 1% rule. 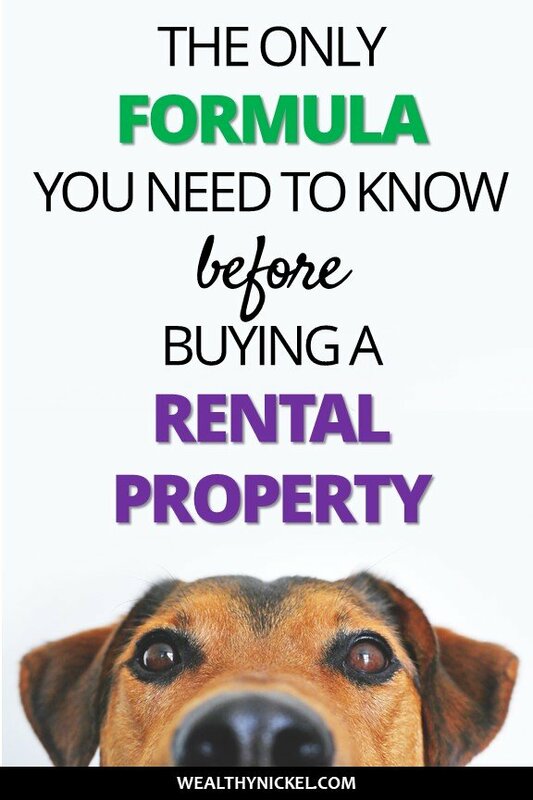 It states that you should buy rentals that rent for 2% of the purchase price. There is a lot of debate on the validity of this “rule”. During the depths of the 2008 recession, you could find properties that met these numbers in decent working-class neighborhoods. But in most places, markets have recovered to the point where this is not possible. You can still find properties that meet the 2% rule in low-quality, high crime neighborhoods, and some investors choose to invest there because of the high cash flow. All I will say about that is once you account for the extra vacancy, vandalism, and turnover costs, I do not think you are really making much if any additional cash flow, and you have to deal with a lot more tenant issues. I would never recommend a newbie invest in an area like this. The last point is one more real estate investing rule of thumb we haven’t talked about – commonly called the 70% rule. It applies more to house flippers who need to buy a house for 70% of its ARV (after repaired value) minus repair costs to account for their holding, buying, and selling costs and still make a profit. As with all real estate “rules” the 70% rule is flexible. I’ve seen flippers buy at 80%+ and make money, and some who won’t buy unless they can get it for less than 60% of value. My market is very competitive, so getting a 20% discount (buying at 80% of ARV minus repairs) is a number I am happy with. One of my favorite things about real estate is that, unlike the stock market which is highly efficient, there are still inefficiencies in the real estate market that allow you to find good deals and get instant equity to build your net worth. If I could buy that $150,000 rental house for 80% of value, I would have an instant $30,000 in equity! That is hard to find in any other investing class. Rules of thumb are just that, a back-of-the-envelope calculation you can do in your head to figure out if a deal is worth looking at further. By having a solid grasp of the 1% rule, and knowing about the 50% rule for expenses, if I know the purchase price, repairs needed, and rental comps on a property that comes across my desk (or into my email inbox), I can quickly do the math and know in 5 seconds if it’s worth looking into any further. If I find a deal that does get close to the 1% rule, then I get interested. I’ll dive deeper into the needed repairs, maybe call a contractor to get a ballpark quote. I’ll study the rental comps and see what improvements I could do for cheap to land on the higher end of the range. And for sure I will pull the exact property tax numbers, and call my mortgage broker to get an update on interest rates. But all that is a lot of work that I don’t have to do if I can know immediately a deal is not going to work for me. I hope this overview of the 1% rule and the related real estate investing rules of thumb will help give you confidence to quickly analyze a deal and see if it makes sense. It takes practice, and a lot of number crunching, but it will soon become second nature. What other investing rules of thumb do you use? Let me know in the comments! As a couple hoping to learn more about the 1% rule after hearing about it from Paula Pant, I really appreciate this article. I’m very risk-averse, so I like the idea you mentioned about making at least $300 no matter what. I’m actually not against the “2% rule” but part of me thinks – dream on! I’m sending it to my husband so we have a record of it in case we finally do pull the trigger and try to acquire a rental in the few years. Thanks! Glad it helped! I too am very risk averse. Getting into our first rental was scary, but well worth it looking back on the journey. Can this all be reversed? If a 3 unit is bringing in rents of $2500 how much should I offer the seller (the house isn’t currently for sale but I know they are considering it) Also can you explain 10% cash on cash. It doesn’t really work in reverse. While multifamily (5+ units) is valued based on cap rate, single family (1-4 units) are valued based on comparable sales. You can certainly back into an offer price based on the 1% rule, but if other similar properties in the neighborhood sell for twice that amount, it won’t do you much good. Cash on cash return just means the monthly cash flow divided by the amount of our personal cash we have invested. So if we bought a $100k property and put 25% down, we’d have $25,000 into it. To make a 10% cash on cash return, it would need to provide $2,500 in cash flow per year after all expenses. I would recommend learning your market where you want to buy extremely well so you know when a deal is a good one. And you do have to be willing to jump on the good ones immediately.